The three of you that read this blog regularly (hi Mom!) might be surprised to hear that this writer also appreciates a new and wild style of jazz called “bebop, rebop, Chinese music” or simply “bop.” It’s tempting to count decades, but the truth is that bop has remained perennially “modern” since it first emerged in the late forties. For even the most casual listener, “jazz” is often defined by the sound of small groups featuring Charlie Parker, Dizzy Gillespie, Charles Mingus and John Coltrane among other bop deities, and the recordings on Blue Note, Prestige, Atlantic and other musician-friendly labels of the fifties and early sixties. The brains, balls and imagination of these players and this style almost make you forget about other approaches to jazz. Perhaps even more astounding is how naturally Brown’s lithe yet warm tone comes through in everything he plays. It can be hard to hear that tone at such high speeds and with so many notes, but it makes every other aspect of Brown’s technique that much more rewarding. It’s also instantly recognizable, the same way Sidney Bechet or Bubber Miley’s tone could be picked out even before they spun a bluesy Rococo line, or growled out some gutbucket poetry. 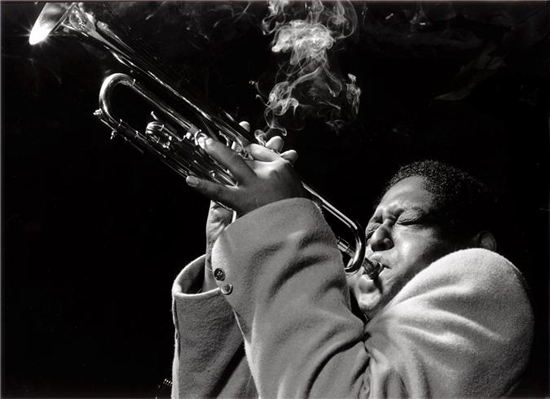 The same goes for Brown’s inspiration, Fats Navarro, who relied less upon long, rapid-fire lines than his protégé (even if he demonstrated at dramatic points in his solos that he could pull them off too!). Navarro’s pensive, angular improvisations with Tadd Dameron’s band are always built off a resplendent surface that could easily lead the brass section in a big band, or maybe a philharmonic. 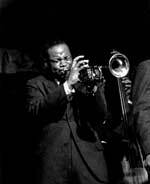 Just like Bechet, Miley, Louis Armstrong, Wild Bill Davison or other greats from jazz’s early days, for “Fat Girl” and “Brownie” it all started with tone. “Fat Girl.” “Brownie.” “Bubber.” “Wild Bill.” Don’t forget “Mezz,” “Bird,” “Satch” or “Dizzy.” The nicknames highlight the continuity of spirit, if not style, between jazz pre and post-bop. Alongside the clear sense of self in their tone, there’s a sense of humor in how their colleagues identified them. 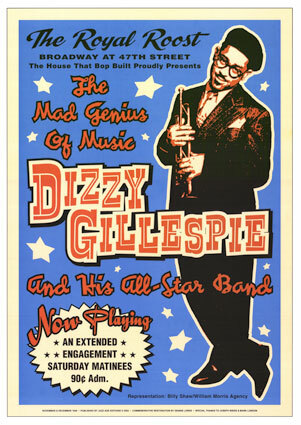 Even bop’s conservatory-trained firebrands learned to play jazz in the club, the same place earlier generation learned to play, as well as drink, smoke, etc. Even for a moldy fig like me, it’s easy to appreciate bop, not to mention simply enjoy the hell out of it. Aside from its sheer visceral and creative drive, the best bop has plenty in common with all the “ancient” jazz that preceded it, though it’s helpful to appreciate their differences.